My computer is asking to activate Windows. The issue may happen after the motherboard was replaced or Windows was reinstalled without using the restore media supplied with your computer originaly. If you had your motherboard replaced and the OS is asking you to activate – please connect to the Internet and choose the Activation Over the Internet option in the activation Window. If it asks to enter a Microsoft Windows License Key – please enter the key which you can find on the Windows sticker on the side panel of your computer. If you have reinstalled your operating system but did not use the CTL restore disk – please locate that disk and reinstall the OS again. If the License on your sticker matches your Operating System but you still can’t activate – please call the # provided in the Activate Windows Now window and a Microsoft technician will be able to help. 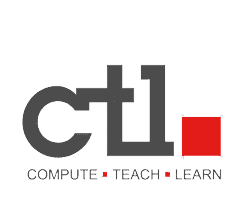 If you encounter any problems along the way – please contact CTL tech support. To verify if your copy of Windows has been activated please type oobe/msoobe /a in the RUN line on your computer.